I forgot my MoT - what can I do? | What Car? I forgot my MoT - what can I do? 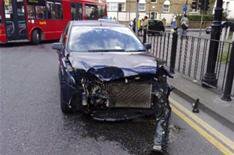 Q: Following the total loss of my wife's car, I now have to send the car's documents to the insurance company. I have the logbook and the service book, but have just seen that the MoT expired in April last year - before the accident happened. Do I have a problem and, if so, what do I do? A: Whether it's you or your wife, the registered owner will be liable to be prosecuted for driving without an MoT. The only time it's legal to drive without one is if you are driving to an MoT test centre. In addition, if the accident was discovered to be wholly or partially due to a fault on the car that would have been rectified in an MoT test, your insurance company is unlikely to pay out. If the accident wasn't your fault, it will depend on how your company views the situation. Some will still not look too kindly on the absence of a valid MoT certificate, but in this situation, honesty is the best policy, because deliberately deceiving an insurance company is another offence. All you can do is send your documents to your insurance provider and wait for a response.